The New Orleans Saints and their devoted fans have had their hearts ripped out at the end of the team’s past two NFL seasons, missing back-to-back opportunities to play in the Super Bowl. The first year because of a “miracle TD pass” by their opponent (at Minnesota), and then a blown “non-call” by referees (against the Rams) a few months ago. With both of those heart-breaking finishes remaining very fresh on the minds of the team’s management as well as passionate Who Dats themselves, it’s perfectly understandable if none of them have given much thought yet about what lies ahead for next season, which is still a little bit over five more months from now.
.@drewbrees says he won't let the NFC Championship result keep him down. However, one thing that’s very quickly become evident: the Saints aren’t going to just quietly sit by and hope their team remains good enough to make the Super Bowl. They’re “in it to win it” — as clearly demonstrated with the aggressive moves they’ve made thus far within the first two weeks of the League’s 2019 Free Agency signing period. Coming into the beginning of Free Agency, the prevailing notion among many analysts and observers was that the Black and Gold didn’t need to be wildly aggressive in Free Agency, but that they should try to be at the very least somewhat active following the franchise’s gut-wrenching overtime loss to Los Angeles in the NFC Championship Game. The primary objective, for the most part, is to re-sign their own veteran key free agents with little room to operate underneath the salary cap. 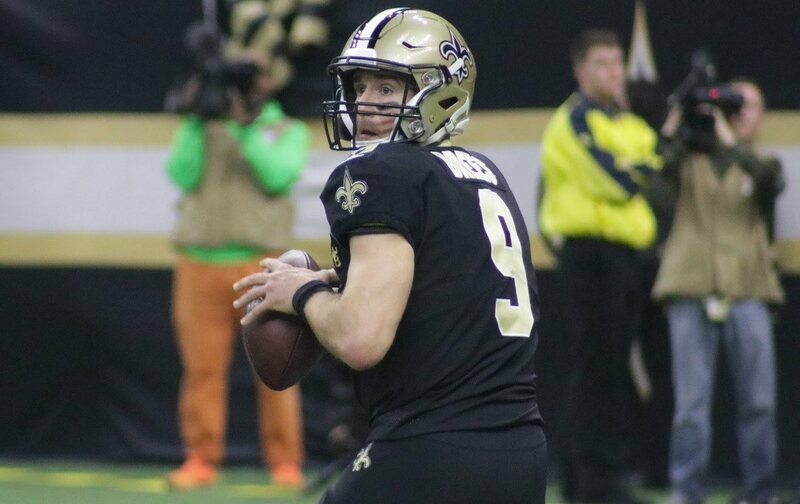 With a talented young core of players (many of who are age 25 or younger) now in place around soon-to-be 19th-year veteran QB Drew Brees, the belief is that the Saints have an excellent chance at getting right back to Super Bowl ready next season with just a few minor “tweaks” or slight adjustments, here or there. However, sometimes in life, things don’t quite always go as planned. The Saints very quickly found themselves behind the proverbial 8-Ball within Free Agency’s very first week; when former #1 RB and well-beloved 8-year veteran Mark Ingram opted to leave NOLA after he signed a three-year, $15 million deal with the Baltimore Ravens; followed a few days later with the abrupt and unexpected early retirement announcement by 10-year veteran center Max Unger at age 33. To the Saints’ credit, however, with each corresponding move that they’ve made since Ingram’s departure, the team — at least on paper — appears to either have successfully “replaced” or even seemingly upgraded those particular positions on the roster. In Ingram’s place is 6th year veteran and former Minnesota Vikings RB Latavius Murray, who while most would agree might not play the game with nearly much as passion and emotional exuberance as Ingram did during his time in a Saints, should still be (and is) capable of matching Ingram’s production on the football field stats-wise. In Unger’s place is undrafted 4th year veteran and former Minnesota Vikings center/left guard Nick Easton; who despite his overall lack of experience and recent injury history, appears to be a young player with plenty of potential given that in over his 700 career snaps during that time, he’s yet to surrender a single sack in pass protection. Now the Saints need to find out if he is actually worth the 4-year, $24 million deal that they gave him to man the position. On the flip side of things on the defensive side of the football, the Saints upgraded one interior D-Line position (nose tackle); and added quality depth at another (3-Technique / pass-rush tackle). The Saints opted not to offer a new deal to former 2015 draft pick and former 4th-year veteran Nose Tackle Tyeler Davison, and in his place very clearly improved the position by signing 4th-year veteran and “elite”-caliber New England Patriots nose tackle Malcom Brown to a 3-year. $15 million deal. Not to be outdone, the Saints then just a day later added 4th-year veteran defensive lineman Mario Edwards, Jr. to a bargain two-year $5 million deal. Edwards should allow them to compensate for the anticipated absences of starting 3-Tech DT Sheldon Rankins, and back-up DT David Onyemata. Rankins is likely to be out on the physically unable to perform list until October as he recovers from surgery on a torn Achilles tendon injury that he suffered during the Playoffs, and Onyemata faces a possible suspension from the League after a January arrest for possession of marijuana. Of course, late last week and into this week the focus has been solely on trying to finally acquire the services of former Pro Bowl selection and Oakland Raiders tight end Jared Cook. Cook is a 10-year veteran who even at age 31 (he turns 32 next month) is still one of the top players in the League at his position, and was listed as the #1 rated tight end in this year’s 2019 Free Agency Class. As of this morning (3/26), while you’re reading this, it’s known that the former University of South Carolina star reportedly reached an agreement in principle with the Saints last Thursday. The terms are believed to include $8 million in guaranteed money. However, Saints fans have been on edge for the past several days as the Team hasn’t officially confirmed the deal, which some believed was an indication that Cook might decide to sign elsewhere, specifically with the Patriots — who lost their starting #1 tight end Rob Gronkowski to retirement after he decided to leave the sport early at age 29. However, Who Dats received some reassurance later yesterday when reports surfaced that Cook has every intention of honoring his agreement with the Saints; meaning New England will have to find Gronkowski’s eventual replacement in next month’s 2019 NFL Draft. For the Saints, landing Cook will nearly complete the Black and Gold’s main objectives in Free Agency. Besides re-signing most of their key veterans such as back-up #2 QB Teddy Bridgewater (whom they re-signed for next season) were to add a new #1 TE (which they’d have with Cook) and addressing the interior of their defensive line (which they have with Brown and Edwards). Granted, there are still a few more “holes” that the team likely will address in next month’s Draft such as a wide receiver, a defensive end/edge pass rusher (to replace the departed Alex Okafor, who signed with Kansas City), an extra O-Lineman and perhaps another safety for depth purposes. But make no mistake about this: the Saints have demonstrated beyond a shadow of a doubt just how very SERIOUS they are about finishing what they started in earnest nearly three years ago, when the team began adding the initial pieces of their current team core. with the additions of Rankins, superstar #1 WR Michael Thomas, starting strong safety Vonn Bell, and Onyemata in the 2016 NFL Draft. 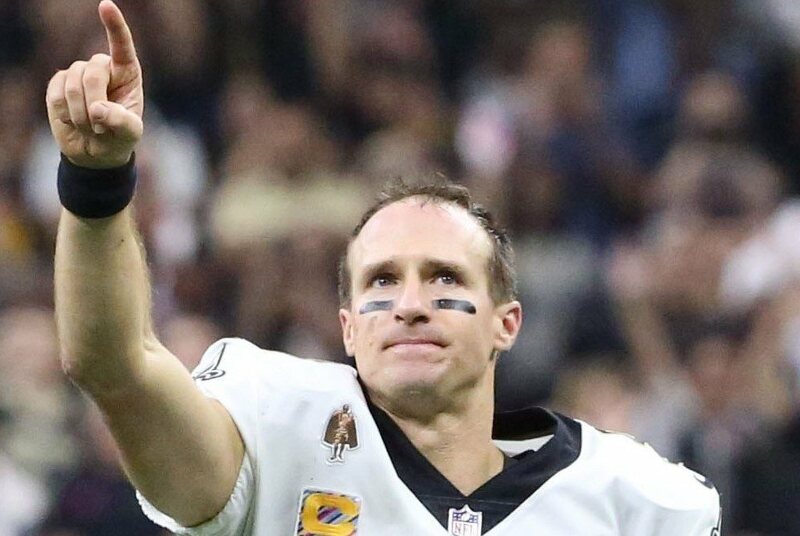 Their stated goal since that time has been to win another Super Bowl before Drew Brees retires; and with the living legend himself having just turned age 40 in January, speculation has been that this upcoming season might even be Brees’ final season with the franchise. Whether or not that ends up being the case is uncertain at the moment, though it’s conceivable that Brees could play another few seasons if his body allows him to. It goes without saying that the Saints rather undeniably have been much more aggressive this off-season than most people believed they would be; which reinforces the notion that they plan on doing whatever it takes, to further strengthen the team by carefully and methodically plotting out each subsequent move leading up to the start of the 2019 Regular Season in September. Quite obviously, their aggression will have to be curtailed in the sense that the team will have to be well-prepared to plan financially for the future in 2020, which is when Thomas is going to likely receive a deal that potentially could pay him as much as $20 million per season when his contract expires next March. Then in 2021, there will be more big contracts to navigate, including superstar RB Alvin Kamara. Nevertheless, the focus, for now, is squarely upon the upcoming months ahead, and doing whatever it takes to finally get back to the Super Bowl next February in Miami, Florida, where New Orleans ironically won its last (and one and only) World Championship against the Indianapolis Colts in Super Bowl XLIV ten years ago. Bottom line: the Saints indeed are “in it to win it” — and to use a poker analogy: their aggressive off-season moves clearly have shown the entire Pro Football world that without any doubt, they’re going ‘all in’ this year to bring that elusive Super Bowl title, back to NOLA.